Our Doctors - Memorial Counseling Associates | MCA | Memorial Counseling Associates (MCA) is a full service mental health medical group. Sarkis Arevian, M.D., is Board Certified in Psychiatry and specializes in adult and older adult psychiatry and chemical dependency. Dr. Arevian treats patients with mood, anxiety, and panic disorders. 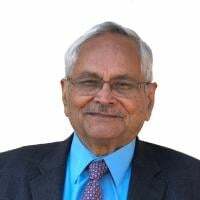 He has been Chairman of the Department of Psychiatry at Memorial Hospital of Long Beach, Director of Psychiatric Education at Pacific Hospital of Long Beach, and Medical Director of Adult and Geriatric Psychiatry at Pacific Hospital of Long Beach. Dr. Arevian has been in private practice for over 30 years in the Long Beach area. Armen Goenjian, M.D., DFAPA is Board Certified in Psychiatry and has been Senior Medical Director of the Pacific Hospital of Long Beach Psychiatric Units since 1996. He is a research Professor of Psychiatry at UCLA School of Medicine. He is internationally renowned as an expert on the psychological consequences of disasters such as earthquakes, hurricanes, and war. He has been in private practice since 1975. James Jen Kin, M.D., is Board Certified by the California Society and the American Medical Society for Treatment of Alcoholism and other Drug Dependencies. Dr. Jen Kin specializes in adult and geriatric psychiatry and treats patients with adjustment, mood, anxiety, OCD, panic, compulsive, and attention deficit disorders. He also sees patients who need grief counseling, patients who have chronic pain, post traumatic stress, terminal illnesses, and chemical dependency issues. Dr. Jen Kin has been Chairman of the Department of Psychiatry at Memorial Hospital of Long Beach. He has a passion for boxing as well as for international boxing and has refereed world championship matches. Dr. Jen Kin has been in private practice since 1962. Dr. Rick Jenkins is a Board Certified psychiatrist specializing in the psychopharmacologic management of psychiatric disorders. He works in inpatient, outpatient and emergency room settings. He has a private practice in Beverly Hills and in Termino. Won T. Lee, M.D., is Board Certified in Psychiatry and the Board of Added Qualifications in Geriatric Psychiatry and specializes in adult and geriatric psychiatry. He is a Clinical Associate Professor of Psychiatry at the College of Osteopathic Medicine at Western University and has been Chief of Staff at Alondra Crest Hospital, as well as Section Chief of Psychiatry at St. Mary’s Medical Center. Dr. Lee has been in private practice in the Long Beach area since 1980. Jay Lentzner, M.D., is Board Certified in General Psychiatry. He did his general psychiatry training at Albany Medical College. He completed his Child & Adolescent Fellowship at UC Irvine and has significant expertise with this population. In addition to overseeing the management of patient medications, Dr. Lentzner provides both individual and family therapy. Dr. Najeeb is a Board Certified Psychiatrist in Child, Adolescent, Adult and Forensic Psychiatry. Her professional psychiatric training include Adult Psychiatry residency at University of California Irvine (UCI) Medical Center, Child and Adolescent Psychiatry Fellowship at Harbor UCLA Medical Center and Forensic Psychiatry Fellowship at University of Southern California (USC). She specializes in the psychopharmacological treatment of Child and Adolescent patients including ADHD, Mood Disorder, Psychosis, Anxiety Disorder along with anger and aggression management. She is also one of the Forensic Psychiatrists on the panel for The Orange County Juvenile Court. Dr. Najeeb has been practicing Psychiatry for the past 11 years in the North Orange County and Long Beach Area. Dr. Nguyen has over 30 years of mental health experience from his private practice and as staff physician in various hospitals, mental health centers and clinics. He served as medical director for Fountain Valley Regional Hospital’s Asian MHS as well as the Pacific West Division of Affiliated Doctors of Orange County. Dr. Patel is certified by American Board of psychiatry and Neurology. He was trained in Psychiatry in Massachusetts where he practiced psychiatry for 45 years. He served as a faculty member in Department of Psychiatry at University of Massachusetts Medical School before moving to California. His areas of interest in clinical services are Mood Disorders, Psychosis, Anxiety Disorders, PTSD, Psychopharmacology and Psychotherapy. Dr. Soliman specializes in Adult and Adolescent Psychiatry. She has extensive experience in both inpatient and outpatient psychiatry. She recently moved from Connecticut where she was the Medical Director of the Professional Resource Group, a private practice for Adult and Adolescent Psychiatry, for which she supervised multi-specialty treatments. She specializes in depression, anxiety, obsessive compulsive disorders and panic disorders. She also has experience in chemical dependency. Dr. Soliman has been in practice for more than 17 years. Dr. Tuckman is Board Certified in Forensic and General Psychiatry. He has over 40 years of experience in Forensic and General Psychiatry and has evaluated over 5000 cases in criminal law, family law and civil matters.